Skinny and visibly weak, 39- year-old Rajkumar Haribhajan Patil had been suffering from contractions in the chest, and feeling panicky and restless for the past five years. In January 2010, he suffered severe palpitations and was rushed to a private clinic in Warud, in Maharashtra’s Nagpur district. Doctors diagnosed him with hypertension. His wife Renuka earns Rs 1,200 a month as an anganwadi helper. She doubles as a farm labourer and is often not home before seven in the evening. Patil has taken to brooding since the birth of his two sons, says his sister-in-law Mahada Bai. “He is unable to eat properly,” she says. The couple’s main concern is the education of their sons, aged eight and 10. They put their first son in a private school, but when the second was ready to go to school, they decided to admit both to a government school. For, the cost was too high to afford. Despite this, Patil has had to take a loan of Rs 20,000. His troubles increased when doctors said he was suffering from hypertension (see ‘What is hypertension?’). The treatment cost him Rs 12,000. Unable to bear the expenses, he discontinued treatment after two months. “The cost of treatment was prohibitive,” he says. But in January this year, he suffered a paralytic attack. He had to make several visits to a private clinic for treatment. Doctors again asked him to control his blood pressure. “I was told to take six tablets every day. Each trip to the doctor cost me Rs 450 to Rs 500.” After three weeks, Patil switched to herbal kadha (concoction) prepared by a vaid. The herbal medicine costs him just Rs 200 per week. He returned to work two weeks back. Patil typifies what rural India is suffering from. Overburdened with financial responsibilities, the countryside is witnessing an increase in the number of hypertension, or high blood pressure, cases. Little intake of nutritious food compounds the problem. 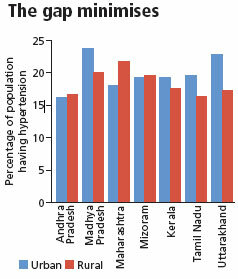 Hypertension has fast spread beyond its traditional urban base to rural India. It was once considered a rich man’s—at the most urban middleclass’— disease. Not any more. Its steady rise is worrisome because the disease triggers cardiovascular ailments such as stroke and kidney problems which entail lengthy treatments. 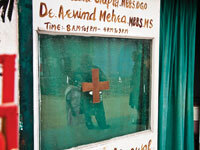 Healthcare facilities in rural areas are highly inadequate to deal with such diseases. And it is expensive to frequently travel long distances for treatment, just like Pail who had to cover 40 km to reach the clinic from his village. According to data collected by the National Sample Survey Organisation in 2004, each visit to a doctor costs a high blood pressure patient Rs 198 in a public clinic and Rs 336 in a private clinic. A heart patient has to shell out Rs 341 in a public health clinic and Rs 485 in a private clinic. A single hospital stay for a cardiac patient would cost him around 80 per cent of his income given that India’s per capita income was Rs 25,320 in 2004. This is too high for a villager whose earning is miniscule. According to the World Health Organization, around 60 per cent of deaths in India occur due to non-communicable diseases. It predicts that by 2030 most of these deaths would be caused by heart diseases. Checking hypertension before it leads to fatal cardiovascular and kidney diseases is, therefore, critical. Blood pressure is a measure of force that the circulating blood puts on walls of the arteries. The condition when the force exceeds normal limit (see below), is called hypertension. It can lead to stroke, heart failure and kidney diseases. Two values of blood pressureare measured— the highest when the heart contracts (systolic) and the lowest when the heart is at rest (diastolic). It is measured in millimetres of mercury (mmHg). A diet rich in fat and salt; use of tobacco and alcohol; and stress are the major triggers for hypertension. Even a slight elevation in pressure can reduce life expectancy. To reduce harm, doctors prescribe a variety of drugs that can be taken either singly or in combination. These include alpha blockers, which dilate the blood vessels; angiotensin-converting enzyme inhibitors and angiotensin receptor blockers, which protect blood vessels and heart muscles; beta blockers, which decrease the rate of heart beat and blood pressure; and calcium channel blockers, which dilate the blood vessels. One of the biggest killers of modern times, hypertension has silently rooted itself in rural India, where 71 per cent of the country’s population resides. Till recently, hypertension was considered an urban malaise. A compilation of countrywide data collected over the past few decades showed 25 per cent of urban population as hypertensive. 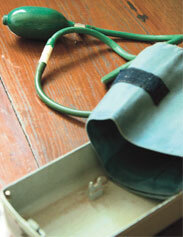 Only 10 per cent rural people had high blood pressure. This data was compiled by the Centre for Chronic Disease Control (CCDC), a Delhi-based non-profit, in 2009 as part of a World Bank study on non-communicable diseases. But a recent study conducted by the Indian Council of Medical Research (ICMR) in seven states reveals hypertension has blunted the urban-rural divide. In fact, in some states the disease is more prevalent in rural areas than urban. The first phase of the three-phase study examined hypertension cases in Maharashtra, Andhra Pradesh, Mizoram, Madhya Pradesh, Kerala, Tamil Nadu and Uttarakhand. Its results, released in December 2010, show rural Maharashtra is the worst hit. 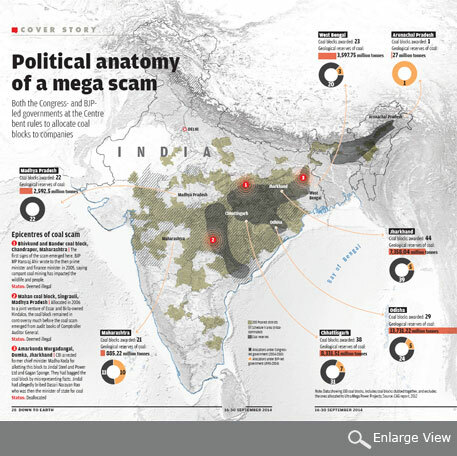 Andhra Pradesh and Mizoram follow. In other states, incidence of hypertension in rural areas has nearly reached the levels of urban regions. The percentage of pre-hypertension cases in rural areas has also increased over the years. 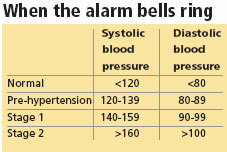 In pre-hypertension, a person’s blood pressure is elevated above normal but not to the level considered to be hypertension. In rural Maharashtra, more than 40 per cent youngsters (15-19 years) suffer from pre-hypertension. It is seen most among the rural youth of Mizoram. A study published in medical journal The Lancet shows the incidence of high blood pressure has increased globally. The survey of 199 countries also shows that while cases of blood pressure are rising in developing countries, richer nations are bucking the trend (see table). The study was published in the February issue of the journal. “The findings are an opportunity to implement policies that lead to healthier diets, especially lower salt intake, at all levels of economic strata. These can also help find ways to improve detection and control through primary healthcare system,” says Majid Ezzati of the department of epidemiology and biostatistics at the Imperial College in London, who led the study. What’s worse, this chronic medical condition, that once afflicted people in their sixties, has now struck the youth. Maharashtra again is the worst sufferer. 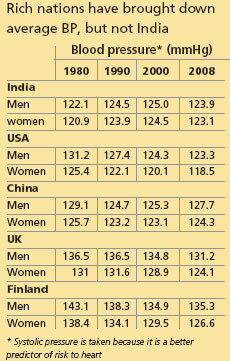 ICMR found that people as young as 15 years had hypertension. Incidentally, states that show high levels of hypertension are relatively rich. Maharashtra, for instance, has per capita income of Rs 1,6479. This is second highest in the country, according to data collected in 2003-2004 by the directorate of Economics & Statistics. Andhra Pradesh, too, has a high per capita income of Rs 11,333. According to the CCDC study, hypertension cases would rise from 118.2 million in 2000 to 213.5 million in 2025. The ICMR data suggests that most of this increase is likely to be in rural areas. ICMR’s is the first major study conducted to identify the risk factors of non-communicable diseases in India. The study took into account age group, gender and residence (urban or rural). In each state, 5,000 households were contacted and asked to fill a questionnaire. The Union Ministry of Health and Family Welfare wants to use this study to device policies to control chronic diseases that emerge from hypertension. However, the ministry will not get any more data because the study has been suspended after the World Bank, which was funding the Integrated Disease Surveillance Project, stopped financial aide owing to delay in the study’s execution. Ever since hypertension was identified a risk factor for non-communicable diseases, the blood pressure level considered harmful has been changed frequently. Studies conducted on the subject have been highly localised, small-scale and on people of different ages. As a result, they cannot be compared to show a trend. The US’ National Institutes of Health (NIH), one of the world’s foremost medical research centres, has been releasing regular reports of its Joint National Committee (JNC) on prevention, detection, evaluation and treatment of high blood pressure since 1976. Its seventh report, released in 2003, defined prehypertension for the first time. It considers people with systolic blood pressure of 120-139 mmHg and diastolic pressure of 80- 89 mmHg pre-hypertensive. Beyond the pressure of 115/75 mmHg, the risk of heart ailments doubles with every rise of 20/10 mmHg, states the report. The eighth JNC report is likely to be released soon. In India, a 1954 study—based on a higher cut-off of 160/95 mmHg— showed just 4 per cent industrial workers in Kanpur were hypertensive. Using the same limit, a Delhi study conducted in 1984 found that only 3 per cent of the population had hypertension. But another study conducted in Delhi between 1984 and 1987 said almost 11 per cent men and 12 per cent women in urban pockets had high blood pressure. The figures for men and women in rural areas were 4 and 3 per cent respectively. The cut-off used was 160/90 mmHg. 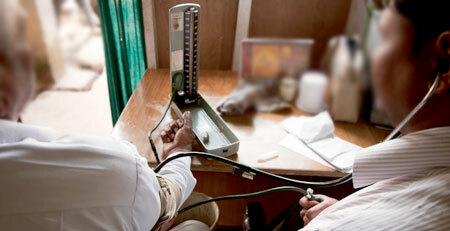 Studies conducted in Jaipur in 1994, 2001 and 2003 show rise in cases of hypertension. These used 140/90 mmHg as the cut-off and showed an increase in hypertension cases from 30 per cent in 1994 to 36 per cent to 51 per cent in men and from 34 per cent to 38 per cent to 51 per cent among women. These mixed signals make assessment of a trend difficult. Rapid urbanisation of rural India is steadily pushing the common man’s aspiration levels. Increase in stress and forced lifestyle changes have offered the most conducive base for the rise and rise of hypertension, say doctors and researchers. Achieving a clear perspective on the country’s health, particularly its rural part, is difficult because very few studies have been conducted on hypertension on a national scale. Pradeep Deshmukh, who teaches community medicine at Mahatma Gandhi Institute of Medical Sciences in Sewagram, vouches from experience that the number of hypertension cases in Wardha, Maharashtra, is rising. He has been working on the subject in the district for the past 10 years. Deshmukh’s study shows that in 2004- 2005 about 21 per cent rural adults were hypertensive in Wardha. One of them is Dilip Kalwit, a 46- year-old orange farmer in Jamgaon village. He moved his family in June 2005 to neighbouring Amravati so that his children could get good education while he stayed back in his village to continue farming. “My daughter is doing Masters in psychology and son will complete graduation this year,” he says. Children’s education and high cost of living in a city forced Kalwit to shell out Rs 4,000 more every month. Loss of 200 orange trees since 2006 due to a fungal disease compounded his woes. His food intake also saw a downslide as he started eating at his brother’s house. His brother’s family’s diet had changed ever since his sons grew up. “The boys go to town and demand spicy and oily food which we never ate on a regular basis,” says Kalwit’s elder brother Ganesh. Doctors diagnosed Kalwit with high blood pressure in 2005. At 53, Ganesh also suffers from hypertension. Advised to eat less oil, spices and salt, they now keep their diet to pulses and rice since the vegetables and meat prepared at home are as per the sons’ tastes—spicy. “All day I am out in the farm. But at night, alone, I get tense when I start thinking about money,” says Kalwit. The reason for stress varies from region to region. In Kerala lack of job opportunities is taking its toll. “The state has a high number of educated youth,” says V Raman Kutty, professor at Achutha Menon Centre for Health Science Studies at Sree Chitra Tirunal Institute for Medical Sciences and Technology in Kerala. “The state has far less opportunities, leading to frustration among the youth,” he says. “Liquor, family disputes, financial burden are the other obvious causes of hypertension,” says K Sunil Naik, a senior resident of general medicine at Rajiv Gandhi Institute of Medical Sciences in Srikakulam, Andhra Pradesh. In Srikakulam’s Jannalapadu village, 37-year-old T Suramma is finding it difficult to manage stress. Her husband is an alcoholic and she weaves clothes to take care of her three children. On a hot day in 2009, she went to the doctor with a headache and was told she had high blood pressure. Suramma has to manage Rs 400 every two weeks for drugs and tests. She has already spent Rs 10,000 on medication. Doctors fear that if not checked on time, her hypertension may soon lead to a heart disease. A person must take four to five portions of fruits and vegetables in a day, recommends the World Health Organization. 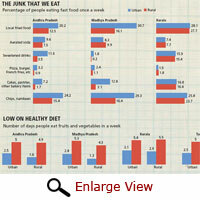 When ICMR studied the diet in rural areas, it found that people eat less vegetables. In Maharashtra, where hypertension is most prevalent in rural areas, its consumption is the least. “People now take spicy curries even at home,” says Zahir Qazi, associate professor at the department of community medicine, Acharya Vinoba Bhave Medical College and Rural Hospital in Sawangi village, Wardha. “There is a greater tendency to eat out. Junk food and fried crispies, rare 10 years ago, are easily available now,” he says. Sudesh Yadav, 28, of Dhankot in Gurgaon, is from a well-off family. Her husband earns Rs 60,000 per month at a company that manufactures horns. Three years ago, doctors diagnosed Sudesh with hypertension. Her salt intake is high, her fruit consumption is practically nil and she does not exercise. In Mizoram, too, dietary changes seem to be the main culprit behind the rising number of hypertension cases, says Lalremsiama Hrahsel, senior medical officer in the state’s health and family welfare department. “Earlier, taking boiled food with little oil and spices was a custom. Not any more,” says Hrahsel. Researchers and policy-makers around the world stress on reducing salt intake to control hypertension because its key triggers— stress and faulty lifestyle—are difficult to control. A human body removes extra salt through the kidney. When its intake is excessive, the kidney fails to perform its job and salt starts circulating in the blood. As salt attracts water the volume of the blood increases, thus causing the blood pressure to shoot up. Walls of the blood vessels and arteries react to this stress by thickening, leaving little space for blood to circulate. This leads to a further increase in blood pressure. As heart pumps against this pressure, it leads to heart-related diseases. To avert this, an adult must not consume more than five gm salt in a day, recommends the World Health Organization (WHO). Governments around the world are making efforts in this regard. In 1994, the UK held health campaigns, collaborated with food manufacturers and asked for labelling of the amount of salt used in food products. In 2001, adults were taking about 9.5 gm salt per day. By 2012, the country aims to reduce it to six gm per day. A study published in medical journal The Lancet (see ‘World checks BP’, p29) indicates blood pressure among Britons has decreased. The UK government found that it had prevented around 6,000 premature deaths annually by reducing salt by 10 per cent in processed food, while also saving £1.5 billion (US $2.5 billion). For India, reducing salt intake is a challenge because there is no reliable data on the amount we consume. 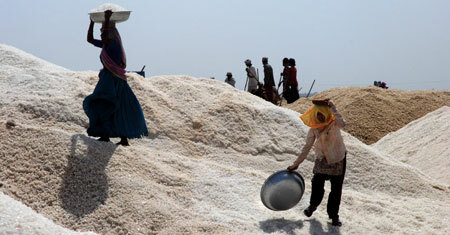 An ICMR survey in 13 states in 1986-88 shows an adult consumes 13.8 gm salt a day. The salt manufacturing industry puts daily consumption figure at seven grammes on the basis of sales. The National Institute of Nutrition (NIN) at Hyderabad, recommended in 2010 that salt intake limit should be reduced from 10 gm, which it had advised earlier, to five-six gramme per day. The Public Health Foundation of India (PHFI), a New Delhi-based research organisation, held a meeting where experts identified that use of salt as a vehicle to deliver iodine could become a hurdle in controlling salt intake. But Chandrakant S Pandav, South Asia coordinator of the International Council for Control of Iodine Deficiency Disorders, says iodine programmes do not promote over-consumption of salt. So there is no conflict between promoting iodine and using less salt. “If the government decides to reduce consumption through legislation, simultaneous changes could be made to increase iodine in salt,” he says. When WHO introduced guidelines to restrict salt consumption to five gramme a day, the Salt Institute in USA opposed it. In India, however, manufacturers are not too bothered. Reducing salt by one gm (from seven gm to six gm) is not too difficult for the industry, says Hiralal Parakh, member of the Indian salt manufacturers’ association, Gujarat. The industry has also started manufacturing salt low on sodium, Parakh says. It may, however, be difficult to convince the food manufacturing industry. Industry big shots met in January this year in Mumbai to discuss the NIN guidelines and find ways of reducing salt in food and beverages. When Down To Earth contacted a few manufacturers on the steps they were planning, they declined to comment. These manufacturers are Pepsico India (makers of Lay’s chips, Uncle Chipps), Nestle India (Maggi noodles) and ITC (Bingo brand of snacks). A representative of Kellogg’s, however, says they have an active action plan in place “despite breakfast cereals not being a significant source of salt in a diet. In 2010, we reduced 50 mg of sodium in every 100 gm of cornflakes. We will further reduce it without compromising on the product’s quality,” he says. Consuming less sodium is essential as it reduces hypertension, says Umesh Kapil, professor of public health nutrition at the All India Institute of Medical Sciences in Delhi. Though companies have started manufacturing low-sodium salt, they cost one-and-a-half times more, he says. He also suggests food labels must indicate the amount of sodium present. On a national level, India needs to formulate guidelines so that low salt consumption benefits future generations as well, says K Srinath Reddy, director of PHFI. where our country will go people are not getting enough food,employment to raise life, almost unaccessible medical facilities. if this way our country gonna run there will no poor one day as all poor will be forced to "die". We work in Rural Andhra Pradesh running a health clinic for BPL families. About 40% of our daily workload of 120 patients suffer from either Hypertension or Diabetes or both. An initial series of tests cost about Rs 150 and since we use only generic drugs and the average cost of treatment can be as low as Rs 20 per month for a Hypertensive on 2 drugs, going upto about Rs 100 pm if the patient has Hypertension and Diabetes. It is a double whammy for patients attending the clinic, since they not only loose a days wages but also have to fork out money for medicines and investigations. Dietary factors such as high salt intake (upto 25 gm/day as against the WHO recommended 5 gm/day), Maternal malnutrition, stress all contribute to the early development of these NCDs. It puts a huge strain on the family, work capacity and as a result earning capacity reduces. Then comes the question as to what happens when these patients start living longer, who looks after them then? These and many more such questions needs to be looked into by the policy makers and experts! India has still a long way to go as far as health of the poor is concerned. Government has to step up its priorities in the field of health as provide free healthcare system to the underprivileged mass of the people around the country. Your case studies are one of blatant evidence of how the poor cannot afford the treatment of hypertension.